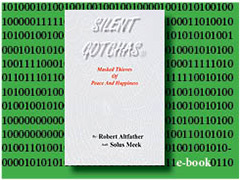 SILENT GOTCHAS e-book is now available at Amazon. Descriptions of concepts containing negative thinking that affects the harmony between our mind, body, and soul. Through these analogies we become aware of the masked thieves that rob us of Peace and Happiness. Freeing our subconcious mind of the shadows within, brightens our path to true freedom. These analogies intend to provoke thinking. 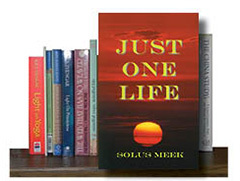 JUST ONE LIFE will be on Amazon soon! A personal sharing of 57 years of life’s experience. All of us react to our circumstances and learn. We connect in similarities of emotion and love for freedom. OPERATORS MANUAL will be on Amazon soon! A brief OPERATORS MANUAL for our human automobile. It is fun and also a serious reminder for keeping our personal vehicle in good condition. 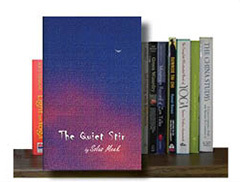 “THE QUIET STIR” by Solus Meek will be on Amazon soon! 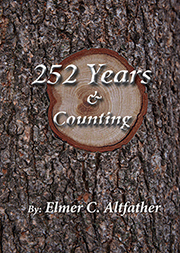 History of the Altfather family as they traveled into America from the 1800’s and claimed a home in the new world. A reach back in time to touch a small portion of passion, renewal, and the evoluting success love brings forward from peril and earnest living. 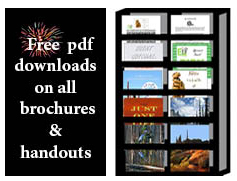 Click book to download. Ems’ magazine rack changes as we produce new handouts and brochures. These articles are free for our participants. 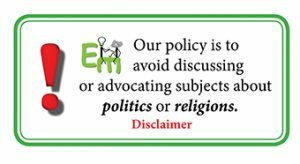 Em refrains from promoting ideas and material as to what to think, Our subject matter is to provoke thought for the individual to use in developing their own thinking.